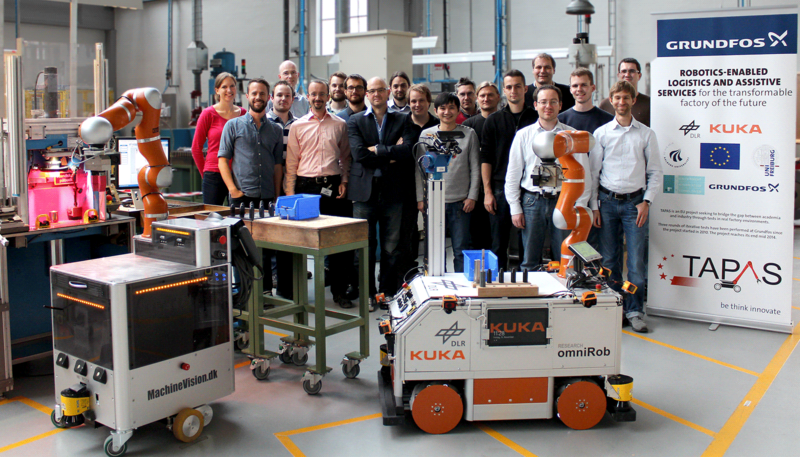 The focus of the Robotics & Automation Group at the Department of Materials and Production, Aalborg University is on design and implementation of model and sensor-based control systems, human-machine interfaces, automatic and real-time shop floor control and mobile robots (co-workers). The group has a high focus on putting the research to practical use. As a result of this, much of the research is carried out in close collaboration with industry. This can be end-users as well as system and technology providers. The group has been active in a number of national and EU projects, e.g., SMART PRODUCTION, ACAT, CARMEN, CARLoS, TAPAS, GISA, PACO-Plus, Eco2Painter, Flexpaint, Imcor, Pipeweld and Little Helper. Little Helper 4 is ready!